Although it is critical information, until now it’s been virtually impossible to quantify a company’s operational strengths and weaknesses. The MRI for Business diagnostic was developed based on the research that is explored in Jerry Tarasofsky’s book The HALO Effect – High-performing, Agile, Learning Organizations. GOODWILL, CULTURE, BRAND VALUE, DEGREE OF ENGAGEMENT, ORGANIZATION ALIGNMENT, MANAGEMENT EFFECTIVENESS, INNOVATION ORIENTATION/CAPACITY, AGILITY/ADAPTABILITY TO CHANGE, CUSTOMER LOYALTY AND WHAT THEY REQUIRE TO MAINTAIN AND IMPROVE LOYALTY. Akin to using an MRI to find the root cause of a health issue that has been impacting an athlete’s performance, The MRI for Businesses diagnostic identifies the root causes that could be limiting an enterprise’s growth. And the MRI for Businesses diagnostic goes beyond identifying the root causes by pointing to potential solutions that the company can take, most often on its own or by retaining specific experts. How are you evaluating the current status of all the areas of your business? Can you objectively quantify them? What measurable metrics do you have on the business’s operations, its customer service, the company culture, the effectiveness of its management, its innovation and agility capabilities? How long does it take to get these metrics? Do they give you actionable results? The MRI for Businesses© diagnostic gives you a complete snapshot by measuring the perception of ALL stakeholders: employees, managers, customers and suppliers, who are asked to complete a quick and easy on¬line information feedback. By uniquely measuring customers and suppliers on exactly the same capabilities as management and employees, it provides a level of quantification not available in any other equivalent process. 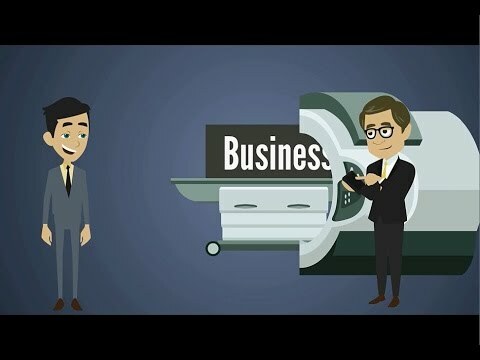 By highlighting the issues, the MRI for Businesses diagnostic enables management and ultimately the employees as well, to be sensitive to them and take actions to address them. a historical perspective of these measures and the results of your efforts to change, adapt and grow by repeating the MRI For Businesses© diagnostic.